Until the day a new superhero rescues her from Professor Venom’s attack at City Hall. The mayor accuses her of conspiring with the supervillain and fires her. But the attack wasn’t some random occurrence. The more she digs into the event, the more she discovers things aren’t what she always thought. 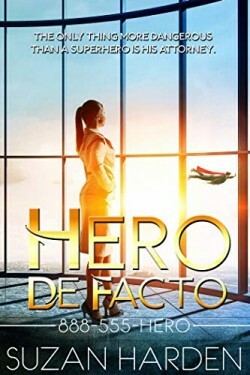 Can she bring down the real bad guys with the help of an inexperienced superhero, a supervillain desperately trying to go straight, and a middle-aged vigilante way over his prime? Or will her law partner and staff only be more casualties in the war between good and evil? The Law Offices of Winters & Franklin, where the only thing more dangerous than a superhero is his attorney.